Emigration to the United States began in earnest during the last part of the Nineteenth Century and the first portion of the Twentieth. Most of our ancestors arrived in the United States via ships that docked and processed third and fourth class (steerage) immigrants on Ellis Island. The handful of those who could afford second class tickets were examined on board ship and then allowed to disembark at the piers in New York City before the ship docked at Ellis Island. Ellis Island opened in 1892. Prior to that new arrivals were processed in New York at Castle Garden. Able-bodied men with at least small amounts of cash in their pockets, were deemed unlikely to be burdens on society and allowed to enter the United States. Generally, women and the elderly were detained until a relative came for them. Manifests filled out by shipping companies in Europe were provided to officials at Ellis Island who then checked them and the passengers and made determinations regarding admission to the United States. A set of manifest pages were kept for each voyage. If an X or "S.I" was placed in the left margin next to a name on the manifest, it is an indication that this person was detained. It is likely that there is an additional manifest page bearing this individual's name on one of the detention or "Special Inquiry" pages at the end of each manifest set. The Ellis Island Foundation has scanned all known manifests for ships that landed at Ellis Island. These are searchable online via The Statue of Liberty- Ellis Island Foundation, Inc., The American Family Immigration History Center. Scanned manifests and detention pages often contain a wealth of information that add to our knowledge base and help further our research. 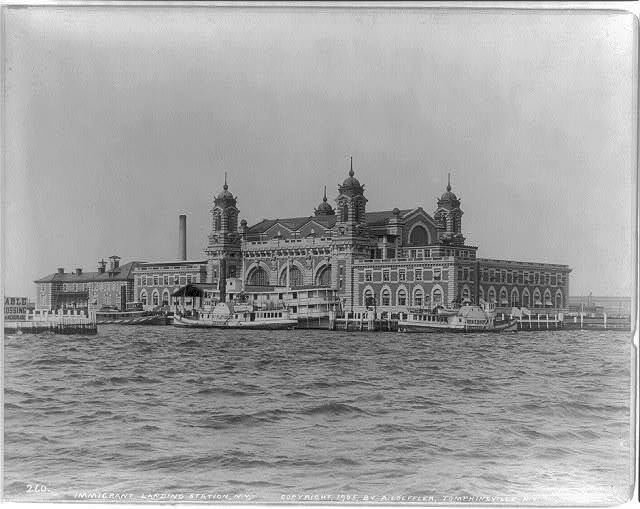 We encourage you to visit the Ellis Island website and examine your ancestors' records. If you have additional records to add to our Lubin/Labun list, please contact the Yurovshchina webpage manager via email: gilah@cox.net.